This is the last installation for old Mac Mini (late 2009). 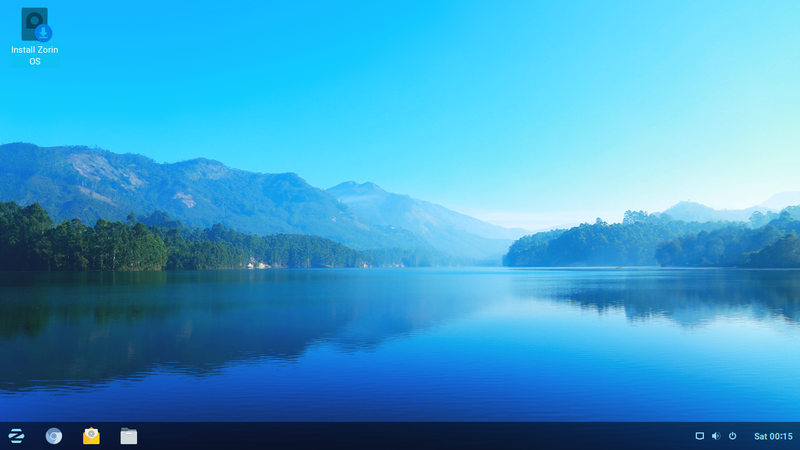 The last Linux distribution we tested is Zorin. 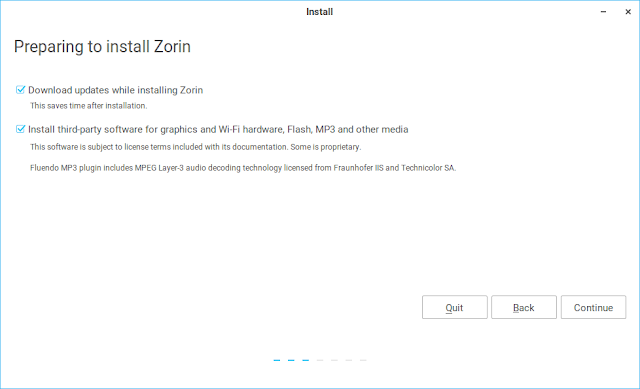 Zorin works fine, however, we encounter some bluetooth redirection issue and intermittent Wifi connection issue. Since Zorin is based on Ubuntu and Debian, we can prepare the USB drive using the Ubuntu USB drive tutorial here. Fir we bootup the USB drive using the option key (alt key). 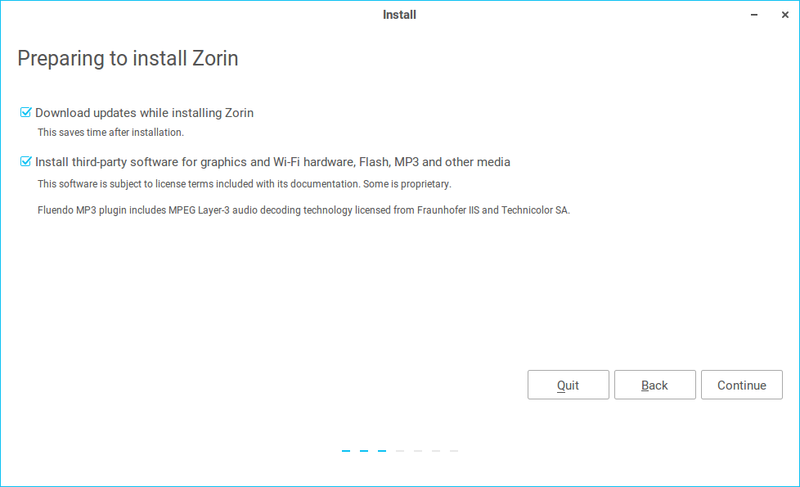 Then we will be asked to try or install Zorin. Select Try Zorin. 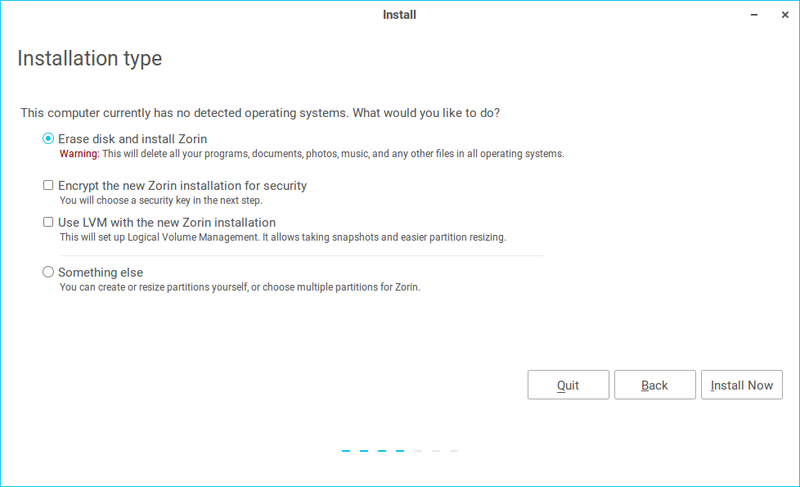 You can try testing with Zorin to see if it fits your taste. 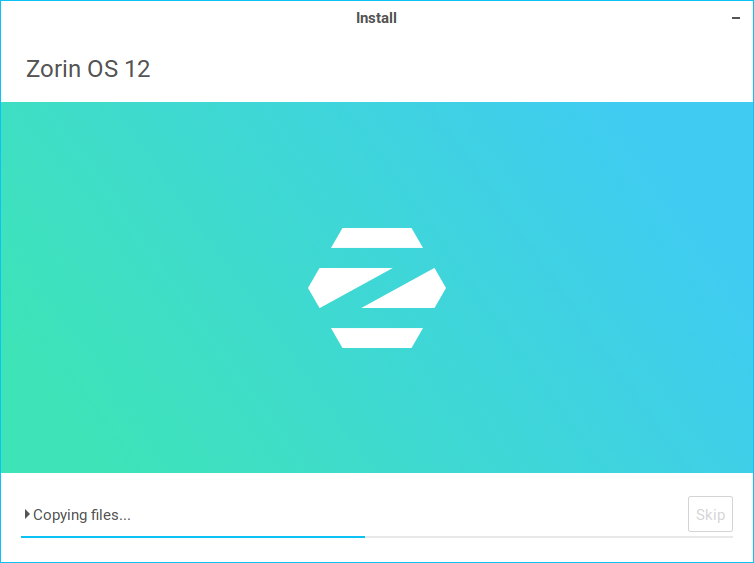 to install Zorin, click on the app icon at the top left corner of the desktop. The welcome screen will appear as above. Click Continue. Click both option on the screen above to install Zorin and update at the same time. Click Continue when done. 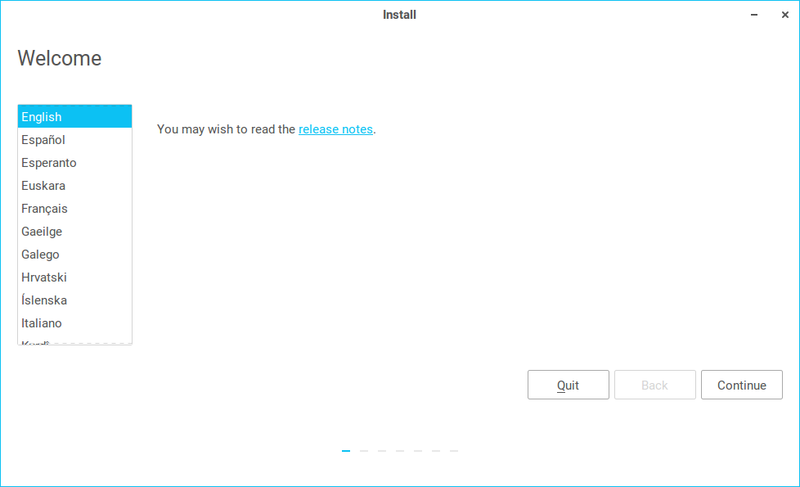 On the screen above, we are asked to confirm if we want to wipe the disk for fresh installation. We also have the option to configure LVM volume or encrypt the HDD. Click Install Now when ready. A pop-up will appear asking us to confirm the drive that we are wiping. Check carefully to confirm if proper disk drive is selected. Click Continue to confirm. Next, we need to provide our time zone. Select the appropriate time zone and click Continue. 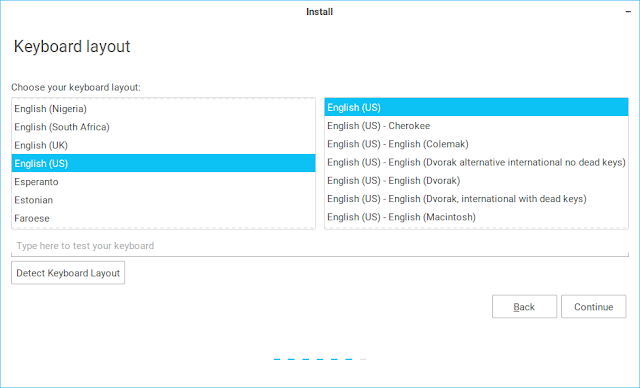 Select the keyboard layout of your choice and click Continue. Next, we need to setup the default user and set host name. Click Continue when done. The system will proceed with installation of the system. 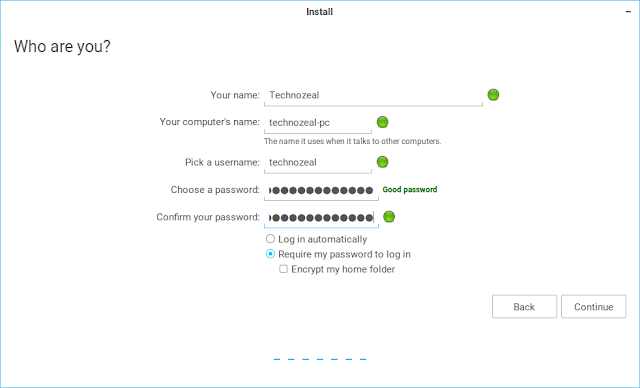 Once the installation is completed, we received a pop-up asking us to reboot the system. 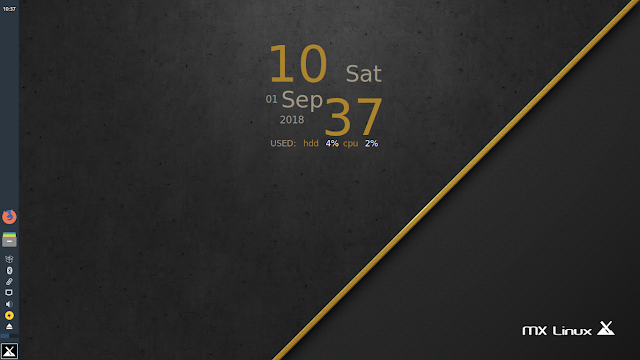 You can reboot the system or continue testing the USB version. Reboot the system when ready. 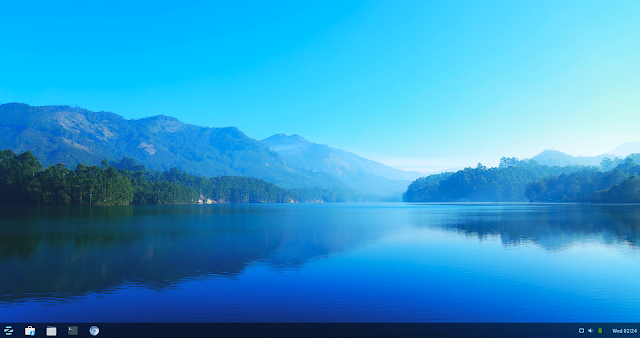 For system update, we can use the software app or use the apt-get upgrade command. After we run modprobe, we should be able to detect the wifi. Please check if wifi is detected. If wifi is detected we can reboot the system to see the wifi can still be detected after reboot. Note: Please note that we encounter intermittent wifi connection issue similar to the Ubuntu and Linux Mint setup. We also encounter Bluetooth audio issue when we could not direct the audio to our bluetooth headset. We think this is a bug that may be addressed by the developers. So please check if the issue still persist. Originally, we thought that this issue is due to lack of audio control. We can always install PulseAudio Control app to resolved the issue. However, after installing PulseAudio control, we still could not direct our bluetooth device to A2DP sink. On further research, we learned that it is due to GDM capturing A2DP sink during login session. Reboot the system, then use PulseAudio control app to direct bluetooth to A2DP sink. Other than the minor issue above, the system run very well. Please also check out the main post on re-purposing old Mac Mini. 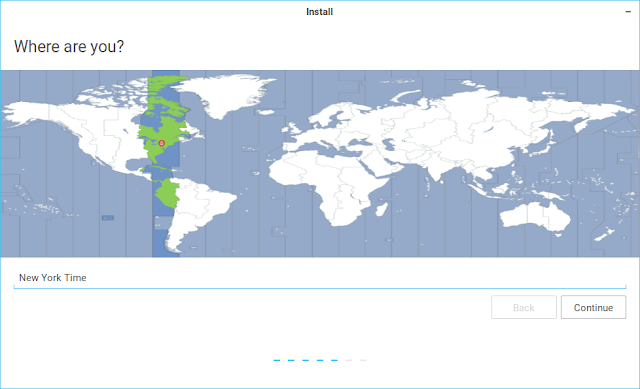 This post also include the installation of Ubuntu on Mac Mini. We have also include hardware specification and other consideration in the main post. Please also check out the summary result of testing various Linux distribution on Mac Mini (late 2009).